A group of Prince Albert pickleball players take to the Midtown Community Club Courts on Thursday. -- Jason Kerr/Daily Herald. In the past, Mary Ruth Amundson and her husband have travelled as far away as Arizona for a good pickleball game. That’s not due to a lack of talented players in Prince Albert either. Instead, limited court space in the city meant the Amundsons had to look elsewhere to get their sporting fix. Thankfully, that’s all going to change. 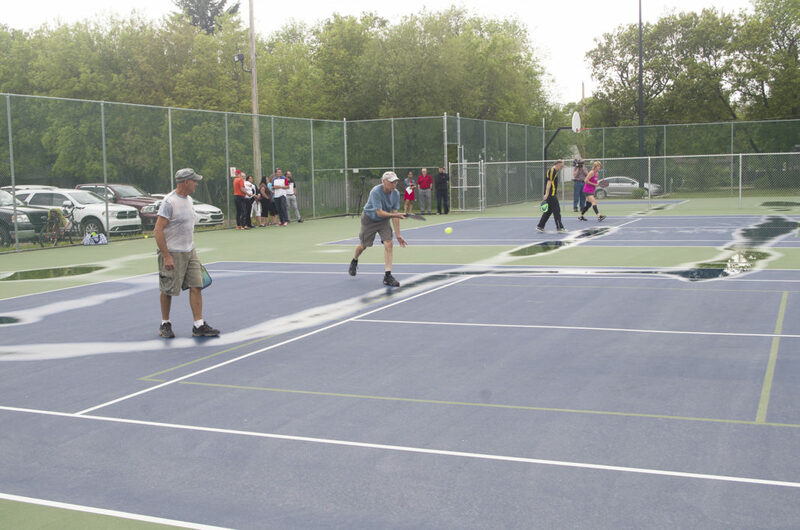 On Thursday, the City of Prince Albert officially unveiled the restored and reconfigured outdoor court facilities at the Midtown Community Club. The $170,000 refit means the area will have two fully resurfaced tennis courts, a basketball court, and last but not least, two pickleball courts. The upgrades mean there are now three outdoor tennis venues in the city, two of which are public. The refurbished Midtown courts help make up for the loss of the old tennis facilities, which were torn down to make way for a new gym for Carlton Comprehensive Public High School. Mayor Greg Dionne said the loss of those old courts left a gaping hole in the city’s recreation life. On Thursday he said he was happy to see that hole close. “It’s great to have an outside facility, because at the end of the day, you want a healthy community, and you have a healthy community when you provide them with facilities,” Dionne said. Getting the project approved wasn’t easy. The item faced some opposition in city council after a report showed just how far conditions at the midtown court had deteriorated, and how expensive it would be to refurbish. The court’s deteriorated asphalt base needed a complete restoration, and there were other common maintenance expenses involved in switching over from three non-regulation sized tennis courts to the current configuration. Ward 7 Coun. 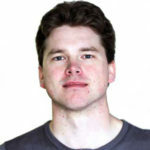 Dennis Nowoselsky brought the original motion before council for consideration. On Thursday, he said he was elated to see the new courts being put to good use, but added that the deterioration of the facility in previous years gave everyone a valuable lesson. If Nowoselsky has his way, this won’t be the only outdoor tennis and pickleball venue the city opens. He hopes the two sports receive more publicity in the coming years, which ideally will lead to more facilities opening in the years ahead. “I would hope we promote it now, and then in the future, we add another one or two in the city over the next few years,” he said. The Midtown Community Club Courts are open seasonally from 7 a.m. to 11 p.m. They do not require a community club membership for use.